What’s better than sipping a cool drink by the pool this summer? Not having to count the calories! Beat the heat and keep the delicious flavor with some of these calorie-free, gluten-free, sodium-free and caffeine-free drink recipes. Cascade Ice is delicious on its own or mixed into a tasty treat! 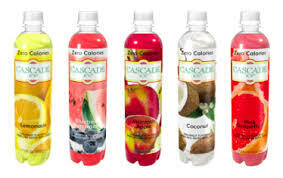 For a refreshing twist on beating the summer heat try Cascade Ice today!